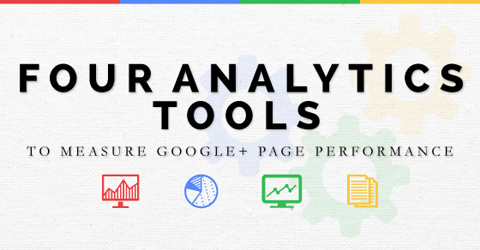 Are you keeping tabs on your Google+ performance? Do you need new tools to help you? The right tools make it easier to see if Google+ is a viable marketing platform for your business. In this article you’ll discover four tools to track the analytics behind Google+, identify your key audiences and boost engagement. Google+ has over 300 million users, the ability to search social content and almostdouble the engagement of Twitter. In fact, Google+ is a close second behind Facebook. Find out how you can measure your Google Page performance. Yet this valuable marketing platform is often overlooked. It’s tough to spend time building up a platform when you’re not sure how to track whether it’s adding to the bottom line. I’ve rounded up some of the top tools that give you key data about your most important performance indicators–audience, engagement and conversion. The Ripples feature is simple to access, easy to read and provides an astonishing amount of information about your Google+ data—for free. Not only that, Ripples is built into Google+. 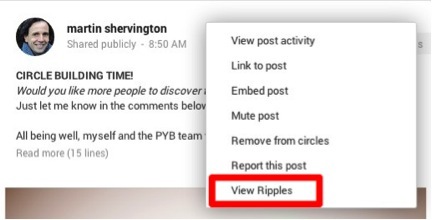 To access it, log into your Google+ page and click on the little arrow on the top right side of any of your posts, then select Ripples. Ripples is easy to find. Ripples gives you a comprehensive breakdown of your audience demographics and engagement. One of the most useful tools Ripples offers is identifying your follower MVP (Most Valuable Player). You can easily tell which of your followers have the most connections and are speaking to your desired audiences. With a little research, you can find out what your MVP posts about and responds to most. Armed with that information, you can make a plan for engaging your MVPand developing a stronger relationship. Ripples identifies key influencers and brand evangelists in your Google+ network. 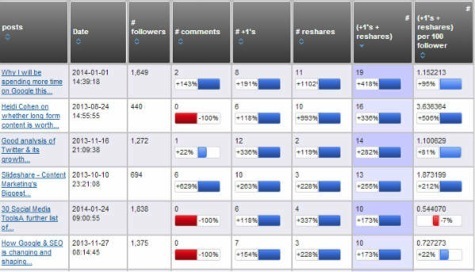 Want to know which of your followers engages with you the most? Or which ones sing your praises from the social media rooftops? Ripples can tell you who your brand evangelists are. Identifying the key players in your Google+ circles is an important part of targeting your marketing and building brand loyalty over time. When you need an in-depth look at your Google+ page’s performance, definitely take a look at Steady Demand. Steady Demand is a wealth of information. 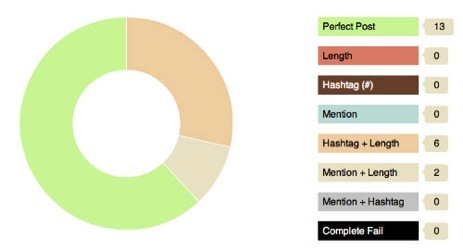 It shows you peak times to post to get the best engagement, mentions, hashtags, key influencers and more. Steady Demand Pro gives you important insight into your Google+ post performance. One of the best perks Steady Demand offers is alerting you about issues with your Google+ posts. If any of your updates perform poorly, Steady Demand lets you know and includes suggestions for improving the post’s quality based on past strong performers. Nowthat’s useful. With this helpful advice, you’ll see fewer fails and much more success. Assessments, alerts and advice help you make the most of your Google+ page. Steady Demand’s basic plan includes a free audit of your Google+ page, including the quality of your recent posts. Alerts aren’t included in the basic plan, so if you really want to maximize your Google+ presence, check out the paid Pro package that includes alerts and a deeper set of data. 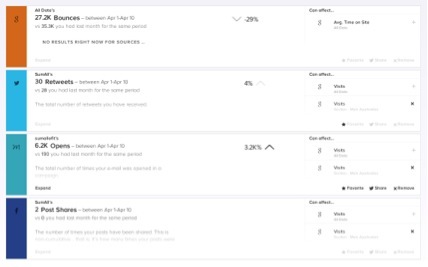 Similar to Ripples and Steady Demand, CircleCount identifies your important followers and tracks each post’s performance and engagement quality. But the feature that sets CircleCount apart from the others is its Follow Map. The Follow Map is a neat visual that lets you zoom in to see where the majority of your followers come from. Knowing where the majority of your followers live can help you create the most appealing content for your largest audience and influence the success of your Google+ posts. 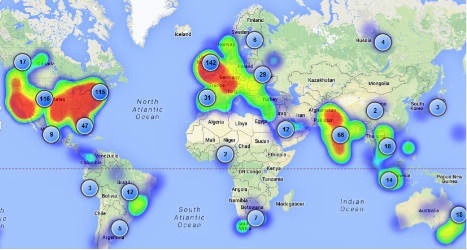 CircleCount’s Follower Map is a great way to find out where most of your fans are. Easy-to-read analytics charts are another handy perk from CircleCount. With just a glance, you can see your Google+ post content, the date you published the post and the types of engagement the post received. 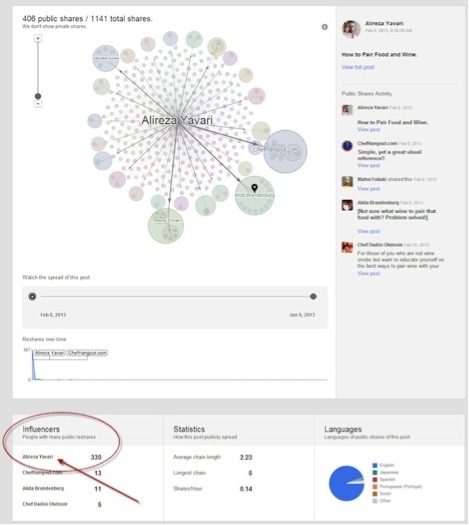 CircleCount includes charts with valuable Google+ data. CircleCount is free and offers valuable and accessible insights into the performance of your Google+ page updates. This quick look at your improvement makes it much easier to report on your growth and engagement. Want to see how your Google+ posts and engagement stack up against your other social media profiles? No problem. SumAll can do that. A one-stop shop for social media analytics, SumAll compares your Google+ performance to your efforts on Instagram, Facebook, Twitter and Tumblr—and those are just a few of the sites included! You can connect at least 30 tools and services to your account. Comparisons like that in a single place are a powerful way to assess what’s really attracting your target audiences on each platform and what isn’t. You can use that data to do some A/B testing to see if there are topics on other channels that work on Google+ as well. SumAll provides you with excellent social performance comparison data. Relatively new to the market, SumAll has ambitions for adding more features as it grows. What’s impressive about the service is its ability to predict how trends are going to affect marketing efforts down the line. That’s a nice benefit for social media marketers. With a predicted user growth of 39% per year, Google+ is becoming a serious player in the social media marketing game. When you have the right tools to gauge your growth, audience, engagement and conversions, it’s easier than ever tomaximize your Google+ updates. With comprehensive and relevant analytics, you can develop stronger Google+ tactics, nurture a healthy relationship with your followers and boost brand loyalty.